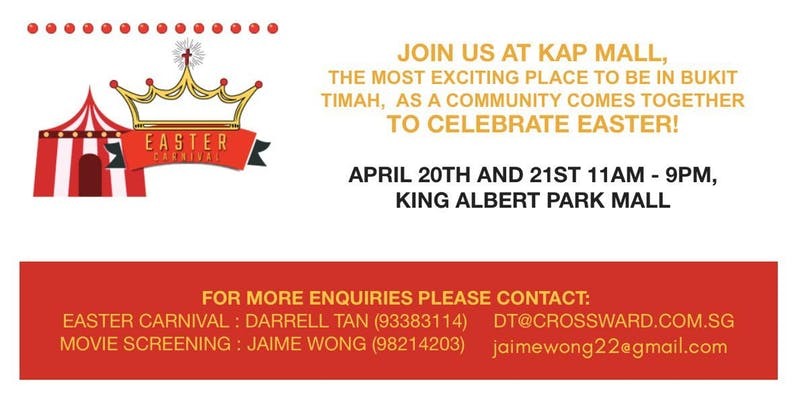 This will be the first Christian-themed carnival hosted at the former youth hangout. Local churches can use this opportunity to engage the community, particularly via street evangelism. The aim is to connect with youths and invite them to form mentoring relationships with Christian marketplace leaders. EaglesWings Cinematic will be screening the movie Breakthrough. There will also be a Sunrise service on April 21 at 6am to consecrate Bukit Timah. Resurrect.sg is a movement in Singapore aimed at empowering youths to find and nurture their potential, and live a purpose-driven life.